Sir Noël Peirce Coward (1899-1973) only just made it onto these pages. His Great War service was, by his own admission, a joke; and his association with science fiction and fantasy was marginal, However, it was there: he wrote an anti-war play in 1931, Post-Mortem: A Play in Eight Scenes, where the ghost of a soldier killed in the Great War appears in 1930 Britain to complain bitterly about people have forgotten the lessons of the past. Blithe Spirit: An Improbable Farce in Three Acts (1941), possibly his most famous play, is another ghost story. Peace in our Time (1947) is an alternate-history play describing a Britain occupied by Nazis; it would have perhaps been very effective before 1939, but few people in 1947 was interested. Coward’s trip to New York in 1921 helped move his career into a new direction. As Hoare puts it, “Coward returned to inject the staid drawing-room dramas of the London West End with the speed of Broadway, in the process inventing his own style”. His own plays began to be produced: The Young Idea (1922), about post-war youth culture, and The Vortex (1924), which took drug abuse as its theme. Coward appeared himself in the play as a languid young man in dressing gown: he had begun to create the persona by which people knew him. He began to produce revues, “all-singing, all-dancing spectaculars” as Hoare calls them, featuring Coward’s songs, like “Dance Little Lady”, and “Mad Dogs and Englishmen”. His plays flirted with bisexuality and decadence, and occasionally attracted the attention of the censor, in the shape of the Lord Chamberlain. In 1926, This Was a Man had its license withheld (on the grounds that every character in the play gloried in their adultery); the openly gay Semi Monde from the same year was likewise never performed in Britain in his lifetime. He often had more success in New York; and his feeling that he was not really accepted in Britain would after the Second World War persuade him to live abroad. However, his career did continue to flourish. 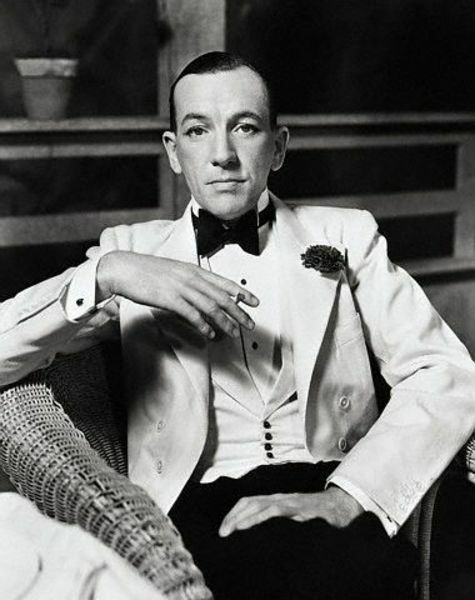 In 1930 his play Private Lives was a huge success, and in the 1930s Coward extended himself: he wrote short stories, and the first of his three volumes of autobiography. In the Second World War (perhaps guilty about his non-contribution to the First World War) he spent a while in Paris office of the bureau of Propaganda, and then did some still ill-defined work for the Secret Service. There was opposition to him within the establishment however. His most successful contribution to the war effort was arguably the production, with David Lean, of a number of war films: In Which We Serve (1942), This Happy Breed (1943), and Brief Encounter (1945). The coming of the Labour government in 1945 and the increased tax-rate led Coward to make his homes on the northern shores of Jamaica: Blue Harbour, on the coast, and Firefly on a hill-top. Later he also had a retreat on the hills overlooking Lake Geneva. But he continued to write plays and to perform in films. He was knighted in 1970; he died of a heart-attack at Firefly, three years later. So far I have used Philip Hoare’s entry in the Oxford Dictionary of National Biography. I have not yet consulted Philip Hoard, Noël Coward: A Biography (1995), nor used Coward’s autobiography, except for the section on the Great War.